My Sacramento office overlooks a parking lot that recently resurfaced its top level. In addition to new pavement, the proprietors also installed several charging stations for electric vehicles. The owners of that garage are not alone. 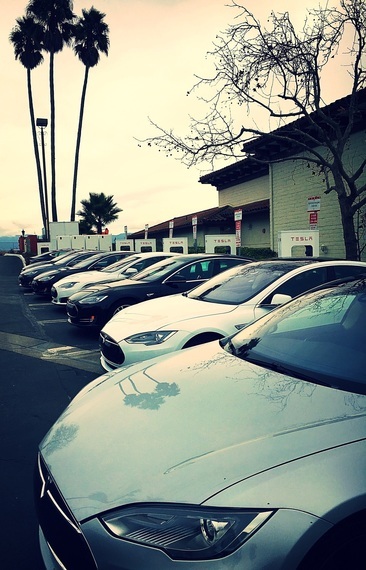 Car charging stations are popping up all over California. Drive Solar--a joint venture with the charging station locator app company PlugShare and the solar panel installation company Sungevity--allows individuals to install charging stations in their home at the same time they install solar panels, making both options much cheaper. Virtually every major tourist attraction and event venue, from Disneyland to Levi Stadium, has charging stations for electric vehicles. And that is exactly what I intended when I introduced AB 631 in 2012, during my last year in the Assembly. 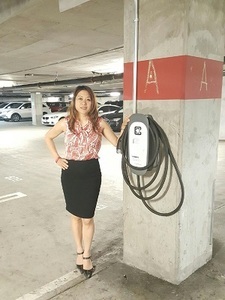 That bill, which was signed into law by Governor Brown, exempted electric charging stations for cars from getting approval by the Public Utilities Commission if the station was only to be used for charging cars. The Public Utilities Commission is an outgrowth of the old Railroad Commission, which was established during the Progressive Era, to ensure that Californians of that era were getting fair market rates for transporting themselves and the fruits of their labors to market. In the ensuing years, the PUC has grown to regulate virtually all of the utilities in California. That's an important role, and it requires the PUC to be vigilant and thorough in approving the construction of, say, a new natural gas-fired power plant, or the pipelines that are used to move natural gas from storage to the power plant. But that same level of exhaustiveness makes it difficult to get smaller projects, like a car charging station, approved. By taking the PUC out of the process, we helped remove one of the major roadblocks to keeping consumers from moving towards electric cars: the "range anxiety" they feel when they worry their car won't be able to make it to their destination on a full charge. That is a very real concern in a state where commuters can sometimes travel as much as 50 or 100 miles to work every day. More charging stations means greater range for electric car owners, and every single charger doubles as a billboard for electric cars themselves. In a typical month, anywhere from 3,000 to 6,000 electric cars are sold in the United States, and up to half of that total are purchased right here in California. Almost 185,000 electric cars cruise our roads and highways every day. Now, that's not because of one piece of legislation--it's part of a broader cultural trend towards sustainability. But those trends are strengthened by legislation, like our efforts to pass AB 631 in 2012, or the efforts of Assemblymember David Chiu, to pass AB 1236 last year. That bill, which was also signed into law by Governor Brown, mandates that cities and counties develop an expedited permit process for electric car charging stations within their borders. The lack of charging stations was one of the major roadblocks to consumers really embracing electric vehicles. We removed that roadblock, and that helped the market shift gears in fundamental ways. As recently as a decade ago, consumers only had their choice one or two truly electric (and very expensive) models on the market. But today's consumers have their choice of electric vehicle: stylish sports cars, outdoor friendly utility vehicles for family adventures, and sophisticated sedans for commuters. And once Assemblymember Chiu's legislation is fully implemented, even more communities will be electric car-friendly. This September, when we commemorate national Drive Electric Week (9/10-9/18), we will have a lot more to celebrate. California's electric car market is expanding faster than you can say "zero emmissions vehicle," and the ongoing efforts in the legislature to expand public transit and encourage renewable energy shows why the world is looking to us for leadership. Given California's history as a national trendsetter for new technologies, it's a safe bet that the whole country will be going from 0 to 60 on electric vehicles a lot sooner than anyone expects.